THE Canadian Chamber of Commerce in the Philippines (CanCham) affirmed that Bacolod City is growing tremendously, particularly in terms of economy. Now on his second visit in Bacolod City, CanCham president Julian Payne said the economic growth in Bacolod has been very notable. 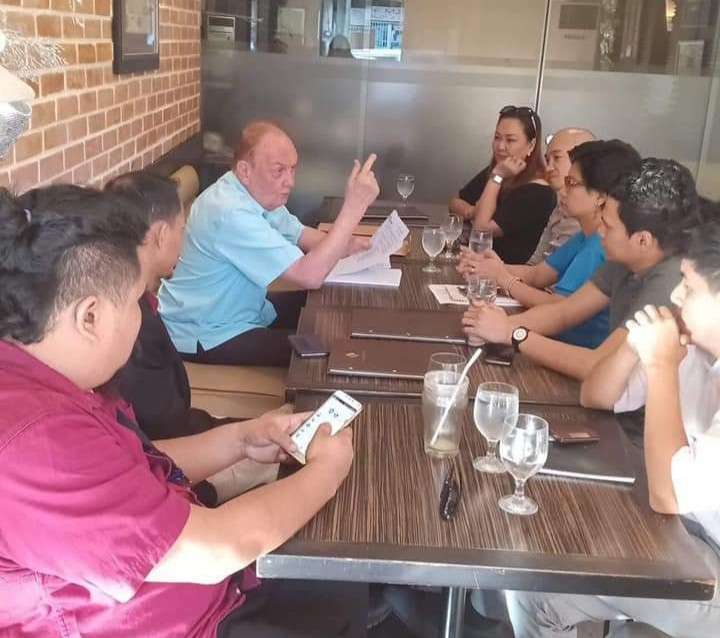 He was in Bacolod City on Tuesday, January 8, for a meeting with officials of Bacolod-Negros Occidental Federation for Information and Communications Technology (BNEFIT). Payne's first visit was in 1989 when he was functioning as the director general of another non-government organization concentrating in Asia. “Bacolod is one of the biggest cities in the Philippines and its growth has been tremendous,” he said, adding they want to establish a collaboration with the local ICT council mainly in three aspects. These are, first, the chamber's invitation to local ICT organizations for its ICT Awards nomination. The group is also introducing an outbound trade mission in Vancouver, Canada. “We would also like to invite your local entities to be a member of Canadian Chamber of Commerce in the Philippines,” Payne said. For BNEFIT, its president John Dave Dueñas said the meeting with CanCham was the starting point for the latter's pursuit to strengthen the relationship of the business sector in the Philippines and Canada. Dueñas said they are happy that groups like the CanCham have seen not just the potentials in Bacolod but the fruition of the efforts of the city as a whole. “The ICT Industry has tremendously helped the economy and organizations like CanCham is affirming it,” he added. The ICT council official recalled that in 2018, Bacolod City has been awarded as one of the most business-friendly cities in the country by the Philippine Chamber of Commerce and Industry (PCCI). “It is a mark that we are very competitive in terms of business environment. I think this has to be credited to the people of Bacolod - from its local government unit, to the academe, and to the private industries,” Dueñas noted. It is geared toward recognizing a start-up company in the ICT Industry, which is seen to boost and further engage technopreneurs to be better. Dueñas said the outbound trade mission, meanwhile, will be tailored to the British Columbia Technology Summit on March 11 to 13, 2019. “CanCham always had the business interest of the Philippines and Canada at the heart of its mission,” he added.